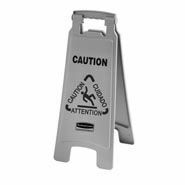 Lightweight and versatile; This two-sided caution sign is designed to work with a wide variety of Rubbermaid products, helping to make cleaning and waste management more efficient and safe. 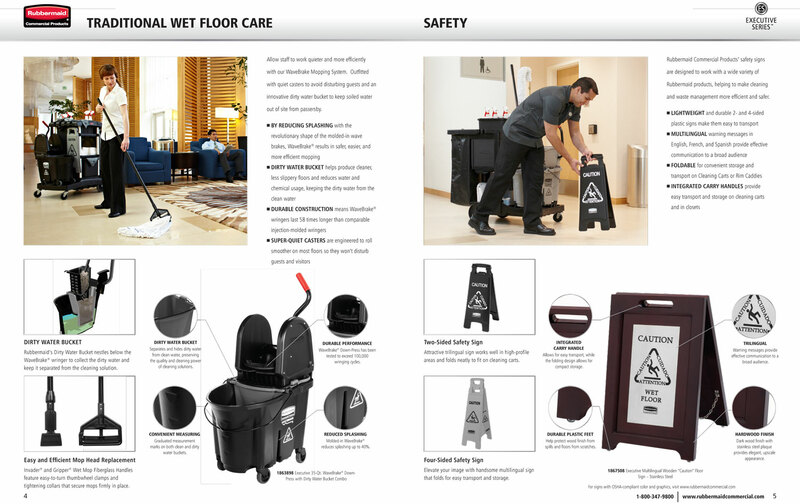 LIGHTWEIGHT and durable 2-sided plastic signs make them easy to transport. MULTILINGUAL warning messages in English, French, and Spanish provide effective communication to a broad audience.